Last July, I spent a week in Las Vegas, Nevada. There will be more posts on the reasons why, but one of the most awesome parts was becoming involved with the End Bullying Now Campaign! 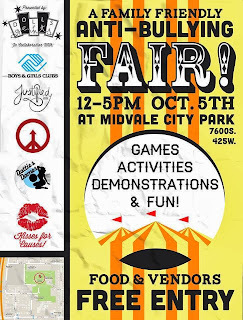 I will blog more specifically on that soon, as well...but for today, I want to tell you about an awesome event happening tomorrow at the Midvale City Park and IT IS FREE! 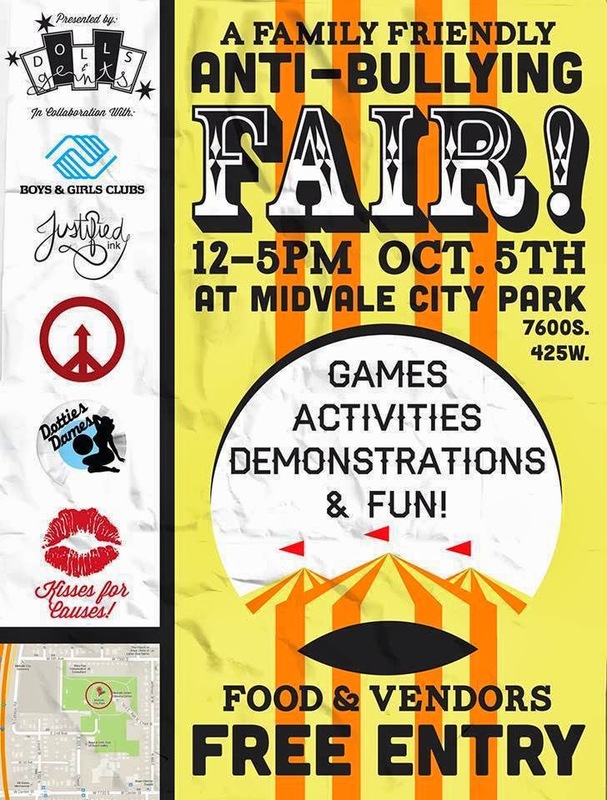 This Saturday, from 12-5, at Midvale Park. Did I mention that is FREE? But any and all support of the vendors and such is greatly appreciated! So, come hang out, have fun, buy some good eats and learn more about how you can help the effort! Oh, and yes, End Bullying Now will have a booth there, so please, come on by, say hi and sign your pledge to End Bullying Now! Please share your story...were you bullied? are you being bullied? OR were you the bully? are you the bully? I was definitely bullied and sadly, even as an adult, still experience being bullied! So, I'm passionate about this effort and that is what it is to me...watsit2u?